Suzumo has shaken up the conventional wisdom in the world of sushi. part of your business is no easy task. 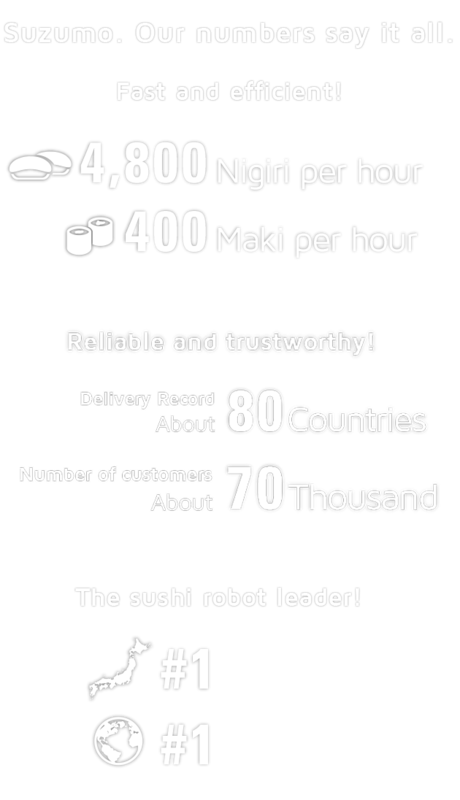 Suzumo does more than manufacture nigiri and sushi roll robots. We work with our agents around the world to also come up with machines for creating lunchboxes, rice balls, and other Japanese rice dishes that will help you leave your customers satisfied.